Los Angeles County Supervisors now have a daily reminder of the “Faces of Homelessness,” an art exhibit on display just outside their downtown offices in the Hall of Administration. The exhibit, unveiled June 1, features 18 oil-on-canvas portraits of homeless neighbors accompanied by moving biographies. Dr. Stuart Perlman has been a psychologist and psychoanalyst in West Los Angeles for over 30 years. 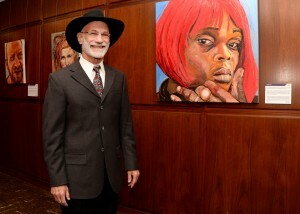 In 2010, he began painting portraits of homeless individuals. He spent hours listening to their stories and getting to know them. He now has over 160 portraits of homeless individuals from Venice Beach to Skid Row. 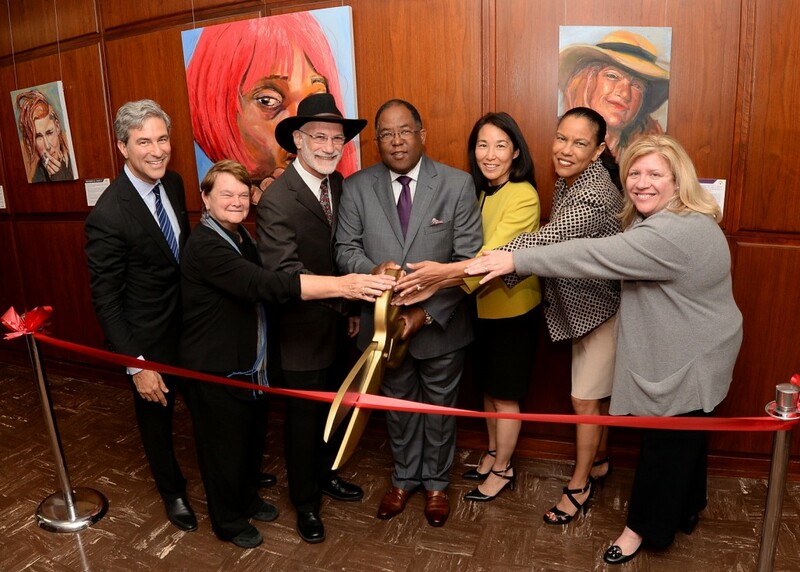 “These are portraits of actual people, who have a name, a past, and more importantly, a future,” Supervisor Ridley-Thomas said at the unveiling. “Displaying this captivating art is important, but it is vital that we take action to address the crisis of homelessness,” the Supervisor said. The County Board of Supervisors is doing just that—specifically, asking the State to permit the County to ask voters if they are willing to allow a personal income tax on the wealthy to fund homelessness programs. Based on the county’s call to action, a coalition of state legislators sent an open letter to the Governor, Assembly Speaker and Senate President Pro Tem in support of Los Angeles County’s request seeking a tax on personal income in excess of $1 million. To help fund the fight against homelessness, please join the Board of Supervisors in contacting state lawmakers to voice your support.